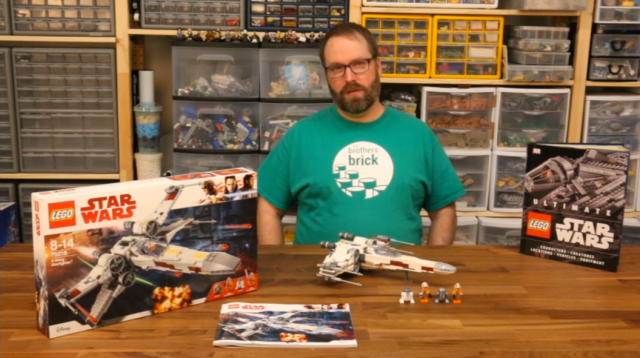 In our review of 75218 X-wing Starfighter last week, we covered the build process, minifigures, and the finished model, but we wanted to take another look at this new LEGO Star Wars set and show off some of the play features, as well as comparisons to previous incarnations of this iconic Rebel Alliance fighter. 75218 X-wing Starfighter includes 731 pieces, 2 pilot minifigs, and 2 astromech droids. The set is available August 1st from the LEGO Shop (USD 79.99 | CDN 99.99 | GBP 89.99), Amazon.com, eBay, BrickLink, and elsewhere. I have not purchased any updated version since my old 6212 and Poe’s. But looking at as accurate and upgraded is this one, I will wait for a discount and get it. Maybe the closest design to the original in universe IMO.